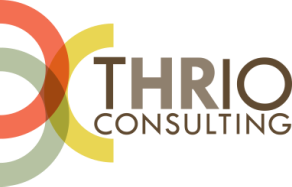 At THRIO, we believe in the power of strategic alliances. That's why we're pleased to extend our network of preferred partnerships to help support the needs of organizations of all sizes and industries. Each of our Preferred Partners offers specialized skills in delivering solutions within their industry or area of expertise. We have personally experienced these professional organizations in action and believe they demonstrate the highest standards of ethical business practices and superior subject matter expertise to benefit the needs of growing businesses. The Frank IT Change Kit is the innovative, cost-effective IT change management & communications solution that empowers IT project teams to engage employees and accelerate user adoption. With nearly 20 change communication “modules” from which a customer can choose, as well as four creative campaign themes that align to a diverse range of company cultures and internal brand standards, the Kit is accessible for 2 years to 10 IT project team members via a password-protected portal. From editable IT change and communication templates to best-practice communication planning and deployment tools that lead IT professionals through the entire lifecycle of an IT project, the Frank IT Change Kit is the most fastest, easiest and most creative way to accelerate IT adoption. On the web at www.areyoufrank.com. You shouldn’t have to pay an agency for the privilege of learning about your industry. The Starr Conspiracy already knows your market segment, who you are and where you fit in. We are a strategic marketing and advertising agency devoted exclusively to enterprise software and services. When you partner with us, it’s to build market share, multiply brand awareness and drive sales leads – not to bone up on the basics. We’ve been “out there” for more than a decade so that you can hit the ground running. Founded in 1999 and located in Fort Worth, The Starr Conspiracy has won eight best places to work awards, countless creative awards and maintains a net promoter score of 90% (higher than Apple). On the web at www.thestarrconspiracy.com.